The nation’s oldest HBCU avoided a potentially fatal blow on Friday after a regional accrediting board extended its accreditation by a year. 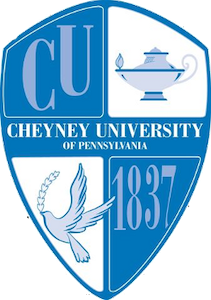 In recent years, Cheyney University, located outside Philadelphia, has experienced low enrollment, financial deficit and other administrative blunders. University officials, however, breathed a sigh of relief after its accreditation was affirmed by the Middle States Commission on Higher Education, as a result of the progress the institution has made over the past year. Supporters of the university remain optimistic. Dr. Michael Sorrell, president of Paul Quinn University, said that Cheyney may need to refine its business model. As the president of a once failing HBCU, Sorrell and his team were able to rescue Paul Quinn from closure. The institution now receives a surplus of applications, forcing the university to decline admission to some students. Sorrell added that Cheyney needs to find its competitive advantage as a university. Gasman said that the school needs a dynamic leader to move the institution forward. “If I were Cheyney, I would be looking for a young, energetic president who is ready to roll up their sleeves and work, just like Michael Sorrell did at Paul Quinn,” said Gasman. “I don’t think they can continue business as usual,” she added.